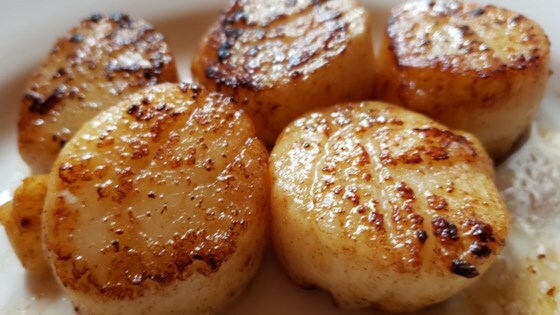 "Scallops sauteed in butter and garlic will melt in your mouth. Lemon juice gives it a nice kick." Fantastic!! I used a little less butter and added a touch of white wine and some capers. Mmmmmm!! Very easy and very tasty! I tripled all ingredients except the scallops and served over angel hair pasta.